Transform Your Life! 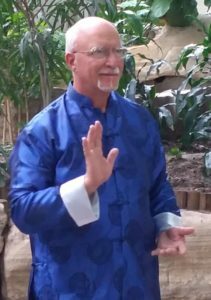 Become a Certified Qigong Instructor! This program will certify you to teach Qigong, and be a journey into life-force energy (Qi), leading to an awakening of the self. This course will provide you with the resources, tools, and techniques for health, healing, longevity, and a deeper connection to life itself. Through this program you will truly become skillful at working with Qi life-force energy. Focus of this workshop is on clearing and strengthening the organ system.